People and cultures, one drink at a time. Right before flying to Italy for the holiday season, we decided to take a one-day trip to Cardiff. Capital and largest city of Wales, Cardiff is definitely one of UK’s greatest cities for eating and drinking. In this blog post I’m going to share with you my personal highlights of the day. Cardiff is relatively small and you can just walk around and see a decent part of the city; however, as we had less than 24 hours to spend in town, we felt like we just had a small taste of what it’s capable to offer. The whole city centre is full of independent bars and restaurants. We would have loved to try a lot of them, and we’ll definitely do it in our next visit—after all, it’s not so far from home! We careful researched where to eat and drink without leaving our hotel’s area (St. Mary Street), and these were the places we eventually decided to visit. Unless you’re visiting or you live in an area where tap water isn’t drinkable, there are several reasons why you should consider getting yourself a good reusable water bottle and forget buying plastic water bottles for good. It makes sense financially. If you live in an area where tap water is safe to drink, there’s no reason to spend money for bottled water (which, especially in big cities, can cost an inexcusably large chunk of money). As an extension to point 1—it’s not impossible to find one for free. If you attend conferences and industry events, especially during summer, reusable water bottles can be part of the swag. They’re stylish, durable, and easy to carry around—these days, most backpacks and messenger bags have a dedicated slot for water bottles on their sides. They’re better for our environment—they’re often BPA-free, but most importantly if you have one you don’t have to throw plastic water bottles away every time you’re drinking water on the go. Bottled water, in most cases, isn’t healthier or cleaner than tap water—again, assuming we’re talking about an area where it’s safe to drink. I’ve tried three water bottles recently, and all of them came with pros and cons. Here’s a comprehensive description for each bottle. 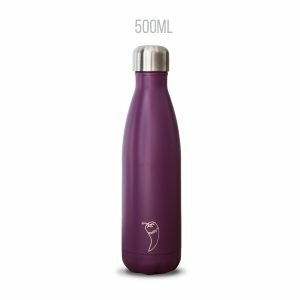 This stylish water bottle is made of three pieces: the bottle, an interchangeable and replaceable filter (available in multiple colours), and a cap. It has one main strength: it filters water as you drink, meaning that you can just fill it with water (no time wasted waiting for the water to be filtered). To drink from it, simply remove the cap, lift the plastic part (you’ll likely your teeth) and squeeze the bottle. The water will pass through the filter as you drink. It’s made in the USA from recycled plastic and is free of Phthalates and PVC. It’s not leak-proof, so don’t throw it carelessly into your backpack! 2. Nalgene Outdoor Camping Water Bottle, 0.65l. This water bottle has two pieces: the actual bottle and a cap with “One Hand” opening, with a push button and a locking system. It’s guaranteed free from BPA and phthalates. It’s leak-proof, but doesn’t filter and doesn’t keep water cold. It has measurement markings in millilitres. This bottle keeps your water cold or your coffee warm for hours. It’s leak-proof, and comes with a removable cap. It’s BPA-free, phthalate-free, toxin-free, and it’s made with a premium, food-grade 304 (18/8) stainless steel, a metal recognised for its strength and purity. To me, there’s no clear winner here—it all depends on what your needs are. 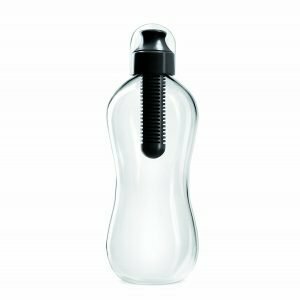 If filtering is important for you, go for the Bobble: filtering as you drink means you can just quickly fill it and you’ll still drink filtered water. If you expect your bottle to keep water cold, the Chilly’s is perfect solution. The Nalgene is probably my favourite, for a very practical reason: you don’t need to unscrew or remove any cap every time you need to drink, so you’ll never lose any piece while using it on the go. Coffee is one of my passions, and just like every coffee lovers out there, I have my favourite coffee drinks. Coffee is a much more versatile element than we normally think of, and it can be the central ingredient of so many luxurious concoctions. Let’s explore some of my favourite coffee-based drinks. It’s almost a reminder to myself: I need to go beyond that same old double espresso! During summer 2016 I spent three weeks in Vienna, in the lead-up to an important industry event I attended. Vienna is an amazing city—classy, intimidatingly aristocratic, with a sublime architecture and a lot of great places to eat and drink. In this Vienna drinks guide I will share with you some of my favourite bars and restaurants where to drink something special, from early in the morning to late evening. Vienna is not as big as other European capitals, but this tour still requires some form of public transportation. Luckily Vienna’s underground network works well and taxis aren’t hard to find, so if you want to try all these places in one day, it’s totally doable. I’ve just come back from an amazing week in Corralejo, a small town located on the northern side of Fuerteventura, one of the Canary Islands. Stef and I decided months ago to go there for a week, not on vacation: we planned to go on with our classic routines—work, workout, etc.—while also enjoying beaches, nice bars and coffee shops on the waterfront, and a warm, sunny weather. Sounds great, right? Franz Drinks is a blog about drinks, travels, and lifestyle. Whether you’re a frequent traveller or like exploring local bars and trying new brews, here you’ll find tons of information and resources about drinks from around the globe. People and cultures, one drink at a time.